File contains the sheet music for a piece for solo voice and piano accompaniment in C Major with words by Neil Herman of Dartmouth, Nova Scotia and music by Forsyth de Fronsac of Halifax, Nova Scotia. 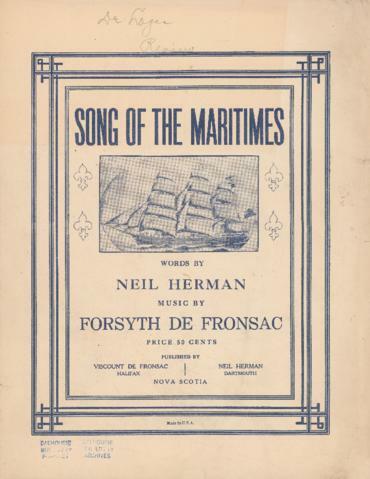 The sheet music was self-published by Herman and Fronsac. The file also includes a note to Dr. Logan from "W.H.D." to review the sheet music enclosed.